Bitcoin Laundry Review - Is It Legit or Scam? Bitcoin is all well and good with its whole decentralized core-concept, but like every other coin its other side isn’t all rainbows and clouds, while it was supposed to be anonymous it instead leaves a wide trail for anyone to follow on the Blockchain ledger. That’s an issue this Bitcoin Laundry review aims at solving to some extent. Bitcoin is anonymous only to the point of the buyer’s identity and in most countries not even that as most countries today require ID proof before they let exchanges offer you Bitcoins. And even if your identity remains somewhat anonymous, every transaction can still be tracked and followed around on Blockchain, letting users know which address forwarded the coins where, and the total net worth of any Bitcoin address. It’s not desirable for the same reasons you wouldn’t want your bank balance displayed on a hoarding in Times Square, furthermore, such data is used by hackers and other misguided parties to manipulate, socially engineer or just rob people off their coins. 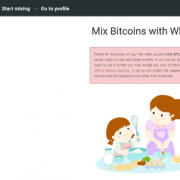 One answer to all the questions above is Bitcoin Mixing, while there are quite a few Bitcoin mixers around today we’re scribbling this Bitcoin Laundry review to bring forth all the features and abilities which make it either a better, or worse mixer than the others. We believe in ultra-transparent reviews, and hence never have we ever claimed any tool/product/platform to be the absolute best or urged you guys to go for it just cause we’re saying so. Rather, as always we will list all the factors we’re considering for this Bitcoin Laundry review and then it’s up to you folks to decide the platforms’ true worth. Anonymity: How anonymous the platform is regarding personal details, registrations, ID-proofs etc. Fee: The cost of cleaning coins with the mixer, keeping in mind that cheaper mixers don’t necessarily mean better ones if the features aren’t as anonymous, secure or diverse. Additional Addresses: We check if the mixer supports additional addresses if it does then how many, and what’s the additional fee/extra address. Time-delays: First we check its support for time-delays, and then the amount of control users are provided while deciding these delays. Distribution of Funds: If you’re depositing amount X, what amount of control you get in deciding what % of the amount X goes to each individual address. Logs Policy: Verification of stored logs and the duration for which they’re stored. Minimum/Maximum Deposit limits: We verify the mixer’s minimum deposit limit so that it’s not too high, and the maximum limit to not be too low. No logs policy: Yes (Instant Deletion allowed + Default deletion after 7 days). Time Delays: Yes, Not user-controlled. Not everyone using Bitcoin is a tech-geek and hence it’s important for Bitcoin cleaners to be easily understood and used. In my personal opinion the lesser clicks a platform needs for something to get done, the easier, simpler and better it is. The “Add Address” text adds more address boxes for you, and the delivery-time dropdown menu lets you set delay options, no rocket-science there! 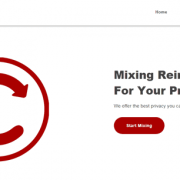 No Registration or any kind of proof required in order to start mixing! This by far is one of the simplest cleaning interfaces I’ve crossed paths with, even if you’ve never before used a Bitcoin cleaner I’m positive you already know how to use this one. It holds the Bitcoin deposit address, the time-frame by which you have to send the coins (the default time provided is 3 day for each session), number of confirmations required and also transparently displays the fee you’ll have to pay for the mix. It also displays the minimum as well as maximum limits for the transaction right there hence preventing any confusions or problems arising at a later time. The page also holds the “session identifier”, it’s a long string of characters which would work as your identity-proof and would prove your ownership of the sent coins for further status checks or communications. Bottomline, it’s transparent, upfront and pretty detailed. No information is kept hidden or secret which isn’t always the case with Bitcoin mixers. Bitcoin Laundry also supports Additional Addresses which go towards enhancing user security and privacy. It supports as many as 10 additional addresses which is the maximum number of addresses any of the Bitcoin mixers we’ve been with have ever supported. The clean coins after the mixing process are sent to these different addresses rather than being sent to one single address. Which makes it pretty impossible for someone to link the unclean set of coins, to 10 (or any number of) separate addresses as there’s absolutely no link between the unclean coins and the clean ones, neither among any of these 10 separate addresses. Time-delays are another firewall between your coins and your anonymity, the simple logic is if the time of the unclean coins going in and clean set of coins coming out is exactly the same, someone smart enough may just get suspicious. 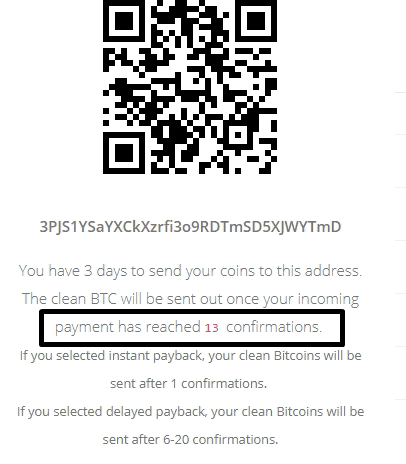 With time delays, the payout is sent not instantly but at a later time, so the last teensy-weensy bit of link that existed between the unclean and clean coins get burned too. Bitcoin Laundry does support time-delays which can be set from the homepage during mix from two simple options- Instant /Delayed. Although it doesn’t provide users control over the delays, meaning users don’t get to customize or select the exact delay after which their payout is sent, rather this delay is random and auto-selected. This isn’t something that necessarily influences this Bitcoin Laundry review majorly but it still is a factor most users should know. The platform needs minimum 1-2 confirmations before it cleans and sends out the coins in the case of “instant” payouts without any delay being added. For the “delayed” payouts the number of confirmations required varies from a minimum of 5 to a maximum of 24 confirmations. 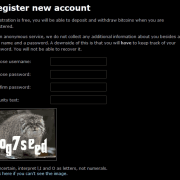 The exact number required for each individual transaction is showed on the Bitcoin deposit page for that transaction. Not all users using a Bitcoin cleaner are Millionaires, infact most aren’t. Hence it’s important for a platform to support lower minimum limits so users can get smaller amounts of Bitcoins cleaned as well. The minimum deposit accepted on Bitcoin Laundry for cleaning is 0.0005BTC. The maximum limit isn’t specified and rather depends on the platform’s Bitcoin deposit at any given time. At the time of scribbling this Bitcoin Laundry review down, they had a maximum limit of 38BTC and it’s shown for each transaction on the Bitcoin deposit page. Percentage Distribution is the feature which decides what percentage out of any user’s total deposit is sent to each individual address. This is a feature which further increases anonymity and security as the funds are broken down into several parts, comprising of completely different amounts than the initial, unclean coin deposit. Bitcoin Laundry provides complete control to the users when it comes to percentage distribution, and they get to set the exact % out of the total funds which should go to each individual addresses. 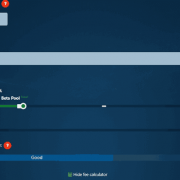 While some other Bitcoin mixers do support the distribution, this level of control isn’t easily available and hence I’d rate this feature a 5/5 for this Bitcoin Laundry review. 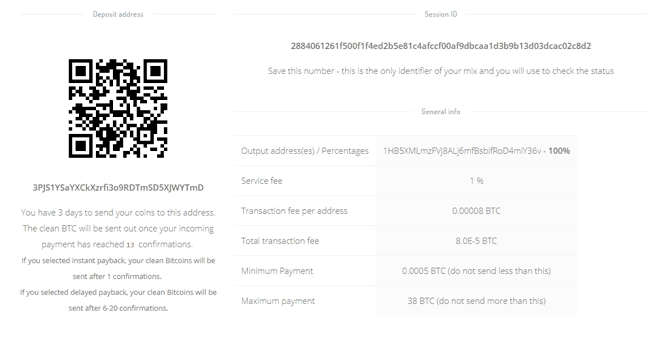 The mixer charges a standard 0.1% fee on the transaction amount, plus an additional 0.00008BTC/extra address. To be honest there are other cheaper mixers out there but probably with lower features or anonymity so even though the fee isn’t the cheapest it’s acceptable. Regardless of all the features and abilities a Bitcoin mixer provides, this is the most important factor which decides the true anonymity of any platform considering how if any mixer keeps logs, it can always trace back the unclean coins to the clean ones. As for Bitcoin Laundry, it keeps logs for 7-days in order to provide support related to the transactions, after which the logs are permanently deleted. Or, users have the option of deleting the logs instantly by simply clicking on the “Delete” button on Bitcoin deposit page. The page can also be accessed at a later time using the session token to delete the logs. So in my personal opinion, a no logs policy along with the power to delete the logs instantly is a pretty sweet deal. 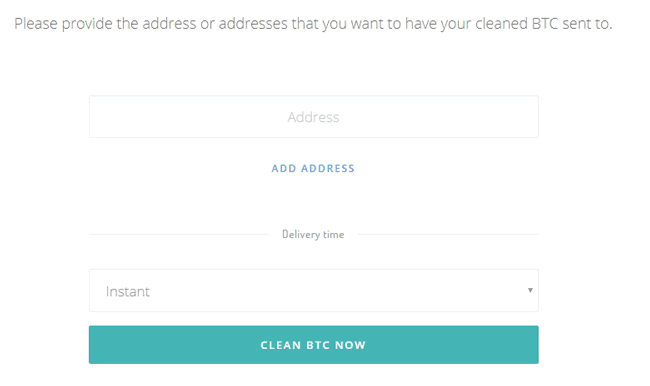 So that’s a wrap as far as this Bitcoin Laundry review goes folks, in a nutshell the cleaner is anonymous, doesn’t require registrations or any personal documents, offers additional addresses and complete control on percentage distribution. The only point it slightly falls short on is user-control on time-delays, apart from that the fee too is at par with what other mixers in the industry are charging for similar features. But that’s just me speaking, do let me know what you feel of Bitcoin Laundry, as well as this Bitcoin Laundry review in the comments.